The God of Western religion is said to be eternal. But what does that mean? Is God somehow beyond time, living a life that does not involve one thing after another? Or is God's relationship to time much more like ours, so that God's eternality just consists in there being no time at which God doesn't exist? Even for non-believers, these issues have interesting implications for the relation between historical and scientific findings on the one hand, and religion on the other. 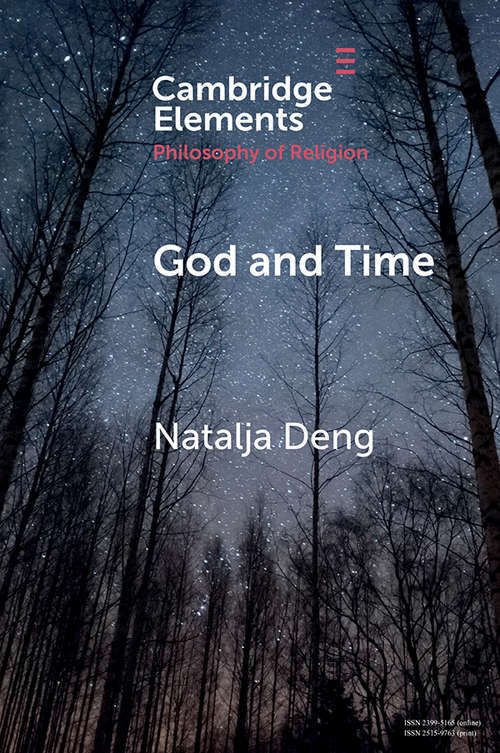 This Element introduces the reader to the requisite metaphysical background, and then examines reasons for and against thinking of God as timeless.